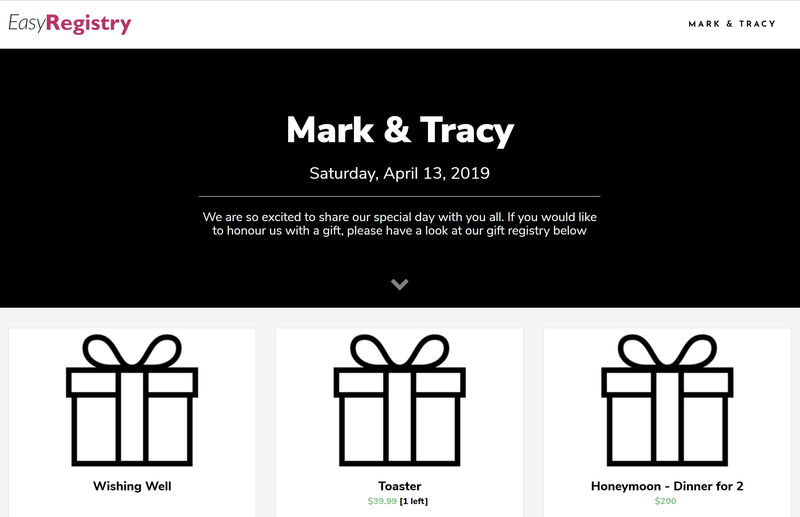 Looking for a free gift registry? Maximize your budget and put it towards your event, not paying for a gift registry. Create a Free Registry with EasyRegistry and get back to planning your event! EasyRegistry offers a free plan that has no hidden fees or surcharges. We will host a beautiful, easy to use gift registry for free for your event. With our free registry you can add an unlimited amount of gifts from any store or website. Even digital or wishing well gifts. Guests can contribute as much as they want towards any of the gifts. You receive payments via bank transfer or cash. We'll offer you a free trial of our Premium plan for 14 days, at which point it will return to the Free plan.